Mulch makeover: Fresh mulch is used in Sarasota, Florida for moisture retention and eye appeal. It will liven up your flowerbeds and areas around trees. Landscapers and garden centers sell mulch in bulk or by the bag. The most standard bag size is 2 cubic feet. Bulk mulch sells by the cubic yard, which is equal to 13.5 standard-sized bags. If your yard is like many in Sarasota that are xeriscaped and rely on mulch to control weeds then mulch is your best tool. Mulch can be sourced from different types of trees some of which offer insect control too, like mellaleuca. Most landscapers say buying in bulk is cheaper in the long run, even with delivery fees of about $50. Many landscapers will also install it. If you’re going to spread it yourself, have the load dumped onto a tarp for easier cleanup. You can also reach out to your favorite arborist and ask to have their excess mulch from chipping trees dropped in your yard. Cut corners (and curves): Edging a flowerbed or tree or the edge of your yard can create instant curb appeal. Go here for some ideas that fit a budget. http://www.pinterest.com/sarasotasuze/curbside-glamour/. Following the shape of the bed, cut into the surrounding lawn about 6 inches with a shovel or other sharp tool. For a clean look, create some separation between the soil or mulch and the edging material. Or keep a stand-alone edge sharp by going over it with a shovel or other tool every few months. This keeps the grass from growing into the bed. 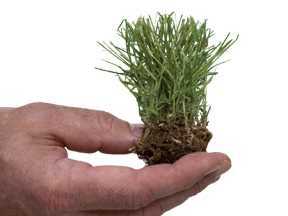 Green up your grass: Well, if you have grass… Don’t cut too close to the ground, roots may die. Set your mower height so your lawn is trimmed to a minimum of 3 inches. That will encourage thicker turf that resists crabgrass, among other benefits. Zoysiagrasses (Zoysia spp.) are an alternative for other grasses that are hard to grow in Sarasota, Florida. They provide attractive turf and in recent years, dramatic improvements in zoysiagrass have been made by turfgrass breeders. These improvements include insect resistance, accelerated establishment, and overall performance. Zoysiagrasses are adapted to a variety of soil types and have good tolerance to shade, salt, and traffic. They provide an extremely dense sod that resists weed invasion, but certain pests can be problematic. Call Susan Phelps, at 941-726-2227 for a recommendation for a professional if you are too busy to get your projects going. Previous Post If My Tree Falls On My Neighbors Property, Who Is responsible?